Lists, lists and more lists. It seems like every week I read a new list of the great beer towns of America. Each one of these lists is carefully crafted with an arbitrary number of towns with some of the nation's pioneers of craft brewing. Portland, Seattle, San Diego, New York, Tampa and beyond are always represented. These cities are always mentioned as the cream of the crop of beer towns. One of the things these cities have going for them is population. With population comes exposure to a large number of beer drinkers and capital to grow beyond their respective borders. It's much easier to get on one of these great lists if everyone across the country can drink the beer from your town in their own town. So what happens to the little guys? The towns that don't have 2 hour commutes or 40 breweries in their town still produce fantastic beer and you may have never heard of them. What happens when you put a town with character and 1 brewery together? Sometimes you get a great beer town that you may only fly over. So move over Austin and Boston, it's time for a list of the great towns off the coast to hit for a great local beer. Most lists you'll see for great beer cities include the Big Apple, so we'll include the Little Apple. Manhattan is a college town, and most college towns in Middle America have a brewery. Manhattan has 2 breweries and 1 of them happens to be one of the best in the Midwest. 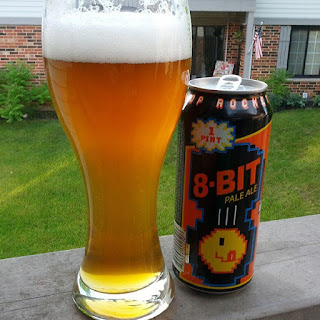 Tallgrass Brewing Company with it's famous 8 Bit Pale Ale is brewed in the Little Apple. Take the 2 hour drive from Kansas City for some college fun and great beer. Another college town makes this list, but this time we are talking a very small college town. Nestled in the rolling corn fields of Northern Iowa sits Decorah, home to Luther College. Decorah sits on the banks of the Upper Iowa River and boasts one of the best breweries in the US. This town of 8000 residents are the lucky hosts of the Toppling Goliath Brewing Company. There aren't many breweries that top 95% on beer advocate, and Toppling Goliath is worth it. 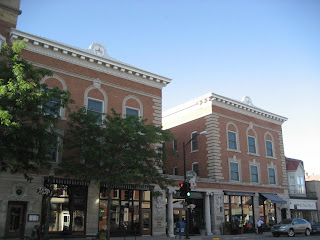 Take the 2 hour drive from Dubuque or La Crosse and enjoy the small town charm and amazing beer in Decorah. You won't regret it. There aren't many towns in America that capture the essence of a small European town quite like New Glarus. Settled by Swiss immigrants, this small southern Wisconsin town is a not over the top representative of a Swiss Village. From cheese to baked goods, you can't go wrong with a trip to New Glarus. What puts this wonderful town over the top is the amazing New Glarus Brewing Company. For over 20 years this small town brewery has been winning awards for its fantastic ales and lagers. They even make light of their location with a No Coast Pale Ale. When I think of a town that is naturally beautiful in all 4 seasons, Duluth is the city that always pops in to my head. Nestled on the banks of Lake Superior, Duluth is a fantastic spot to head to in all seasons if you love outdoor activities. From skiing to biking to kayaking to hiking in the fall colors, you will not be disappointed with a trip to Duluth. And in recent years Duluth has become a hub for craft beer growth. At least 7 breweries have sprung up in recent years and they match the fantastic landscape that Duluth offers. Make the trip from the Twin Cities for more than hockey, hit it for the beer as well. My happy place with great beer. I can't imagine a place I'd rather spend time in than this gem in the Rockies. Dillon sits on the aptly named Lake Dillon, surrounded by 12-14 thousand foot peaks. From skiing in the winter to water sports, golf and just plain relaxing fun in the summer, Dillon has it all. This is one of those place that takes your breath away every time you arrive. And guess what? The beer is out of this world. The 2 breweries in this small Summit County town are both award winners on the grandest scale. Dillon, Colorado is an honest to goodness can't miss, so come with an empty growler and don't miss it. This may just be beer/scenery nirvana. So there you go, a list without the big 13, or is it 10 or maybe 20 biggest beer names in America. These are not places with direct flights - OK maybe like 4 direct flights - that aren't going to be on your travel agents top itineraries, but maybe should be. Each one of these towns is full of character and full of beer, but not 80 different kinds of beer. And that's just fine because we'll take quality any day.